As a mom of twins I’m always looking for services that will help make my life easier. If you aren’t already in the know, I’m about to let you in on a secret that will make airport travel ten times more convenient than you’ve ever experienced. Gone are the days of “divide and conquer” with your spouse when you arrive and depart Chicago O’Hare International airport. Enter, O’Hare Personal Valet service. I heard about OPV through another twin mom who recently traveled to Florida. My husband and I were teetering about whether to hire a car service to drop us off at airport, or pay to park our car at O’Hare while our family vacationed in Mexico. We didn’t need our car seats for Mexico, so we would incur additional fees to rent them to get to airport via a car service. So when I heard a client’s rave reviews about OVP and it’s convenience, we made our reservation with them immediately. 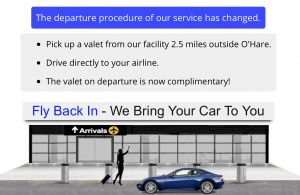 O’Hare Personal Valet service is the most convenient travel service known to parents! We made an online reservation with OVP a week before our trip. On our day of travel, I texted our OVP driver (of course, the non-driving spouse would do this task) when we were are about to arrive at O’Hare. We received a picture of our valet with our registration confirmation, so we knew who we were looking for, and our valet knew the make and color of our car. As we pulled up our personal valet met us curbside at our departure airline. He promptly saw our car and walked over to introduce himself and helped us unload our luggage. The whole transaction took a whopping five minutes – or about the time it took to get two kids out of their car seats and luggage out of the trunk. Our entire family conveniently walked into the warm airport and he drove our car to their remote parking lot two miles away. (OVP also offers other services for your car; for additional fees it can be washed, waxed or detailed). **Note: OPV has changed their departure procedure of their service. 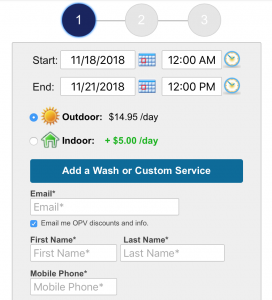 Last winter when we used OPV, we picked up our valet at their office 2 miles away from O’Hare. After arriving at departure gate, valet helped us unload our car and he drove our car to OPV’s remote parking lot. On our flight home we texted our same driver to let him know we landed. Once we retrieved our bags we texted him again and gave him our exit door number at arrival. He pulled up in our warm car and the boys and I buckled in as my husband and valet loaded up our luggage. We drove away in the comfort of our own car without the hassle of retrieving it ourselves. Score! Especially at 7pm after a long day of travel! 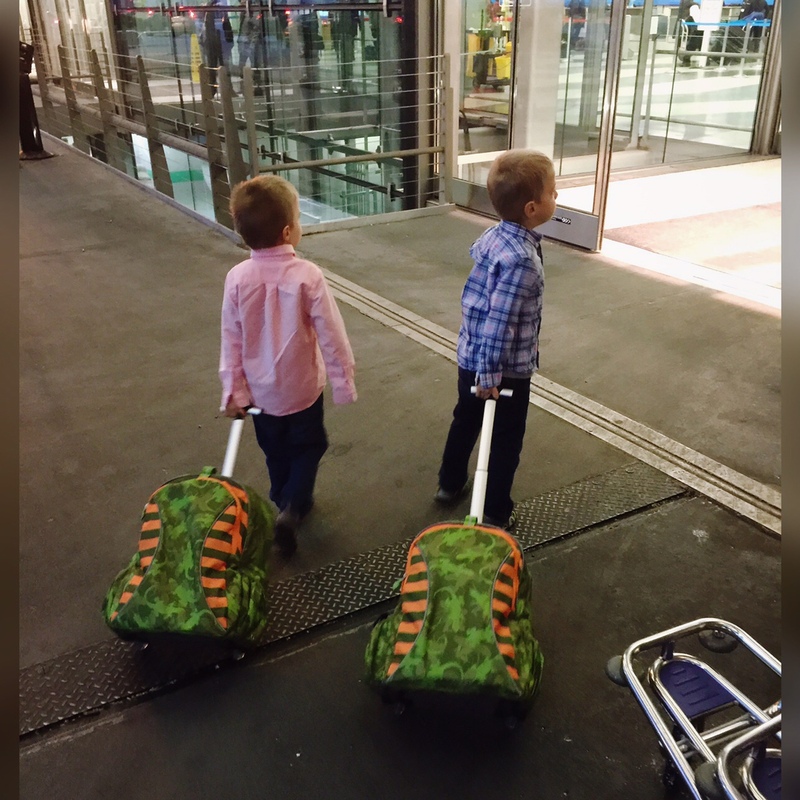 Having the option to have our own car valet parked at the airport made our travel so much more convenient and saved us at least an hour of time — and as a parent, time is critical and convenience is king! Share with us, what is your go-to service or product that makes traveling with little ones more convenient?